Dear Sam, We should be thankful for your work, things do indeed look very bad. Is there a STABLE scientist in the government you can relate this to.? If not George Monbiot in The Guardian Newspaper. If one cannot even get Russell Brand to retweet this development, what chance have we of getting someone close to government to push these issue to the front? I'm sure there are many scientists who are familiar with Sam's work and the ongoing methane crisis. They just aren't allowed to discuss it in public forums. As a matter of fact, I am sure the 'leaders' of the world know what is going on - not just with methane , but with the entire global climate catastrophe. The mystery is - what are they doing with this information and what plans have been made without the knowledge of the public? 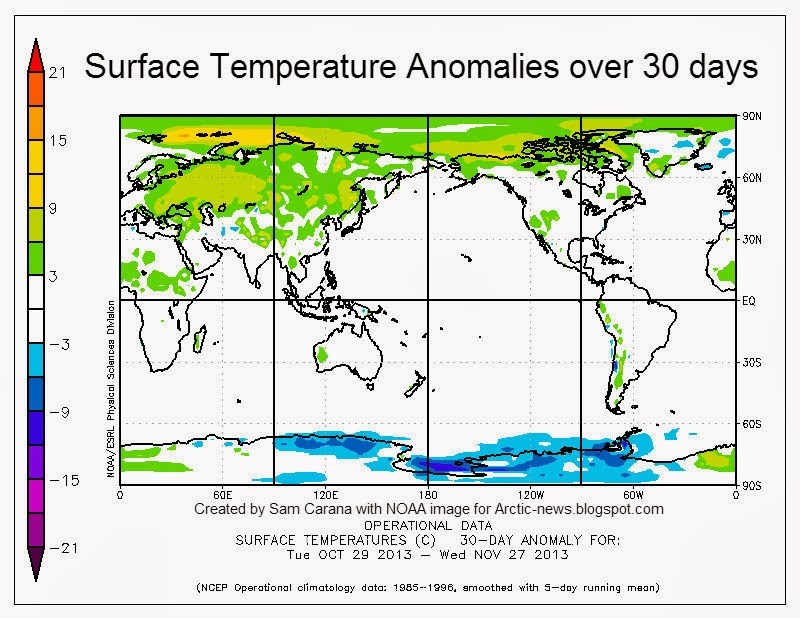 What I find striking is how rapidly ice speed and drift and methane levels are changing. This might be due to scaling. Are things really changing so quickly? Wind patterns can change quite rapidly, and there have been strong winds over the Arctic Ocean recently. Note that the ice speed and drift animation covers a 30-day period. 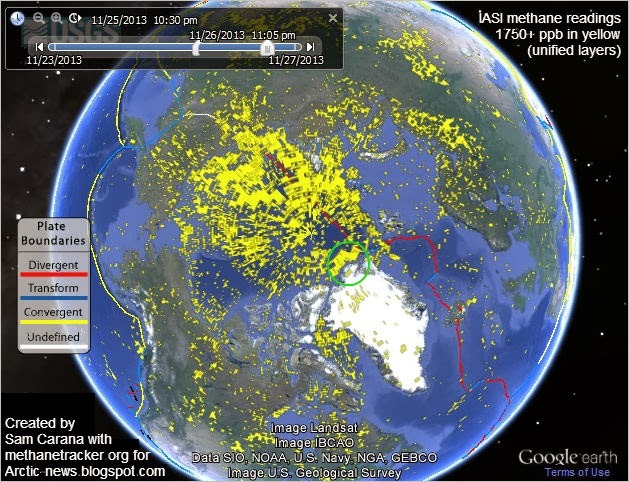 The methane animation covers only six days, but the Coriolis Effect can make methane that is released over - say - the Laptev Sea, end up over another location a few days later, as also discussed in an earlier post. Furthermore, as the sea ice gets thinner over the years, the ice breaks up more easily, in turn making it easier for the sea ice to be moved and for methane to rise through cracks in the sea ice. It's a vicious cycle, i.e. 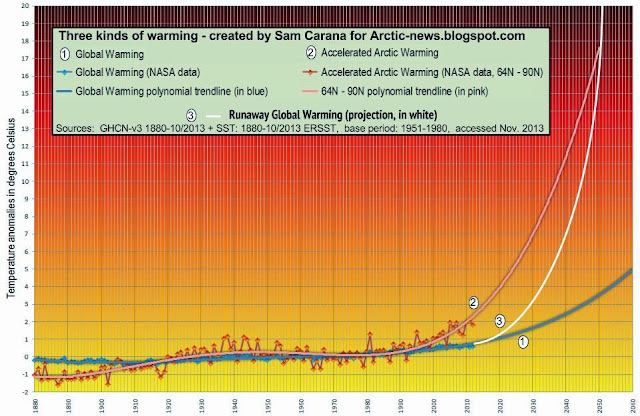 sea ice decline results in albedo changes, more methane entering the atmosphere, stronger winds and waves, etc., and all this in turn causes further sea ice decline and more methane releases from the seafloor of the Arctic Ocean, etc. 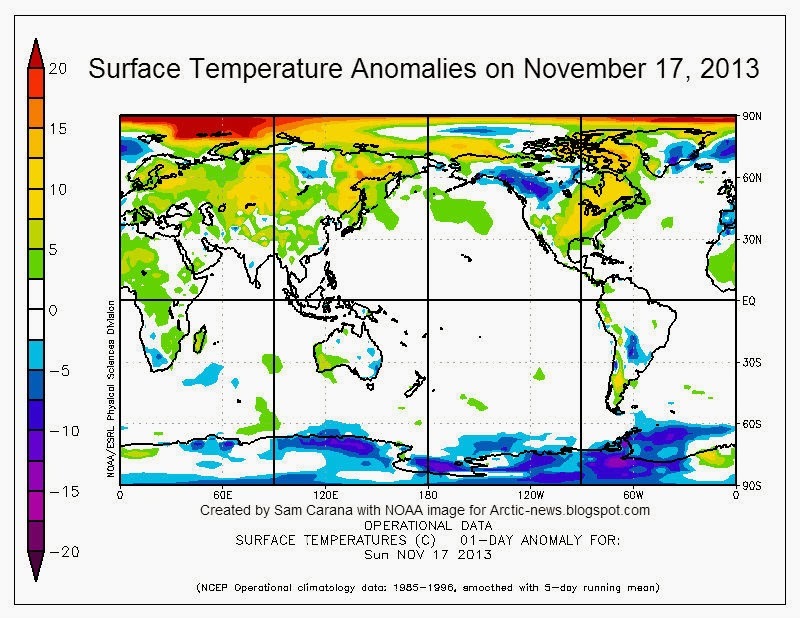 Well if this isn't enough to justify major focus of world attention turning toward saving Earth -What is?